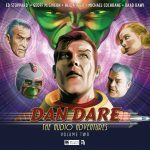 Before Quatermass, before Doctor Who, one icon of British science fiction shone out beyond the stars – Dan Dare. But what becomes of the ‘Pilot of the Future’ when the future arrives? 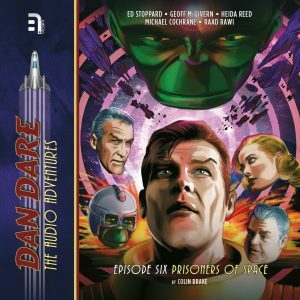 In B7 Media’s acclaimed dramatic audio reboot, Dan Dare lives again. 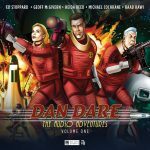 Adapted from the original Eagle comic strips – the first ‘Venus’ series onwards – and inspired by the 1951 Radio Luxembourg series, this is a new Dan Dare for our times, serialised as all good radio space opera should be! 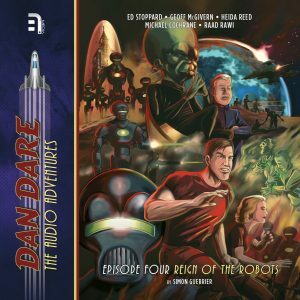 Dan Dare defends the Earth against the Mekon, their battle beginning anew. 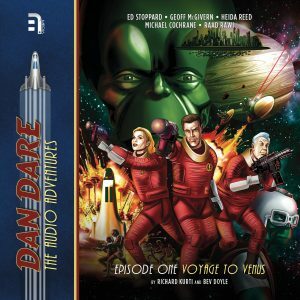 Other roles were played by members of the cast. 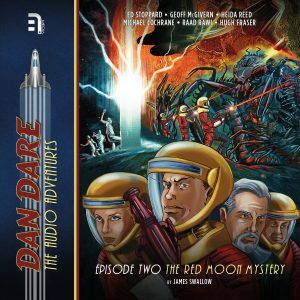 Unable to return to Earth, Dan Dare and the crew of the Anastasia head to the desolate planet Mars, where Dan’s estranged Uncle Ivor is part of a research team working on a top-secret archaeological dig; but when they find the base wrecked and the scientists missing, Dare, Digby and Professor Peabody soon discover that the Red Planet is not nearly as dead as everyone thought and that Ivor’s expedition has woken an army of deadly insect-creatures that threaten to swarm and engulf the Earth… Dare must stop the aliens, but can he really resort to genocide in order to save the human race? When a distress call summons the crew of the Anastasia to the burning wilderness of Mercury, they are reunited with their old ally, Sondar. 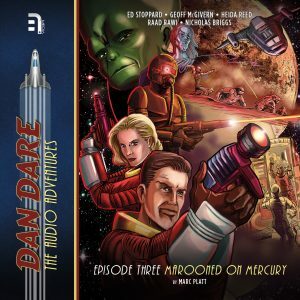 He tells them of the beleaguered Mercurians who are held in thrall to a cruel new taskmaster – the Mekon! 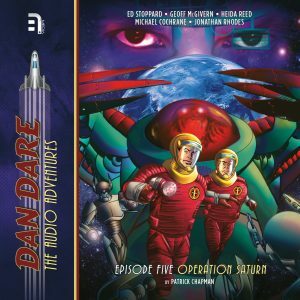 The exiled Mekon is rallying his forces, plotting a desperate revenge against his former homeworld of Venus and his hated enemy, Colonel Dan Dare!